Will our water supply meet our future demand? Have you noticed all the moving vans with out-of-state license plates crossing our borders these days? 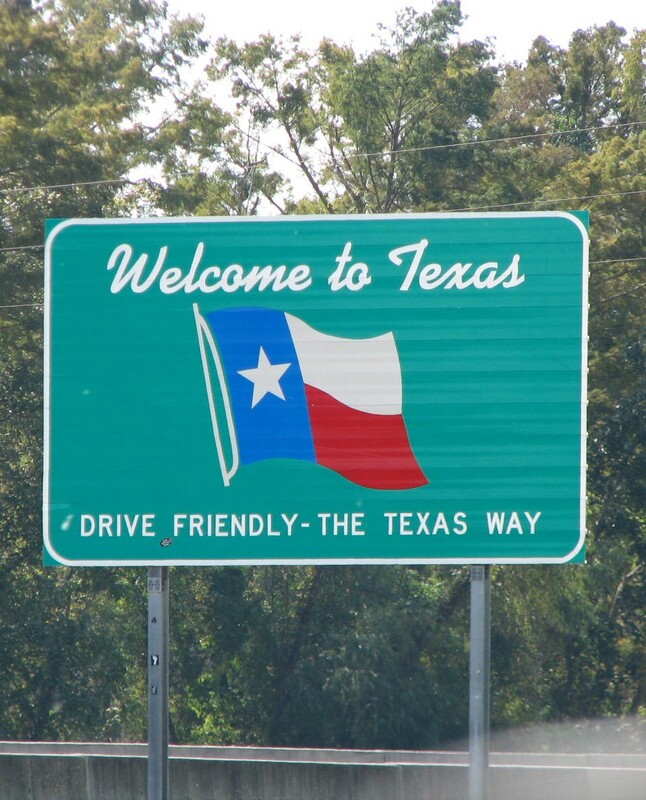 With Texas being such a great place to live, more and more people are making the Lone Star State their home. That trend has no end in sight. We love our new neighbors, but what does that rapid growth mean in a state that’s already pushing its water supplies to the limit? The Texas Water Development Board (TWDB) predicts the state’s population will increase by 82 percent by 2060, producing a 22 percent rise in water demand. At the same time, the available supply will decrease by 10 percent. A resulting shortage could cause the state to lose more than a million jobs and $100 billion in annual income. To avoid these losses, the state must be proactive. 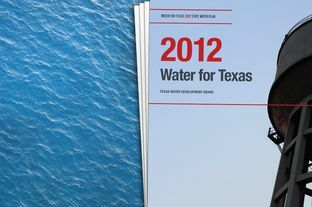 Every five years, the TWDB compiles the state water plan, which divides Texas into 16 regions and determines what actions are required to meet our water demands in 2060. The plan summarizes existing supplies, forecasts future demands and outlines strategies to address shortfalls. In the 2012 State Water Plan, the state board recommends 562 specific water supply projects in the next several decades at a cost of $53 billion. The board expects municipal water providers will need $27 billion in state financial assistance. College Station remains one of the state’s fastest growing cities, but we have a solid plan in place to meet rising demand. The water plan for our region focuses on water conservation, wastewater reuse, additional wells and surface water. College Station’s water use (not including Texas A&M) has historically averaged about 155 gallons per capita, per day (gpcd). The Water Conservation Plan adopted by the city council established a goal of 140 gpcd, along with management practices needed to reach that goal. The primary method to promote water conservation is the rate structure, where the cost rises as usage increases. The cost per thousand gallons increases in steps, so that usage of more than 25,000 gallons per month costs about double the usage below 10,000 gallons. This inclined rate structure was implemented in 2008, and along with other conservation incentives such as rebates for water-saving appliances, has helped us move closer to the goal of 140 gpcd. The drought of 2011-12 caused a substantial spike in water usage, but it will be several years before a trend can be established to draw firm conclusions about the impact. On an average day, College Station discharges 6 million gallons of treated wastewater (effluent) into local creeks. This water does not meet drinking water standards but is ideal for irrigation. The city recently completed a reclaimed water facility that will pump effluent from the Carters Creek Wastewater Treatment Plant to the Veteran’s Park and Athletic Complex to irrigate the playing fields. In the summer, the facility could save as much as 300,000 gallons of drinking water per day. In addition, we’re considering the next phase of the reclaimed water concept and exploring options such as aquifer storage and recovery and direct potable reuse, which could dramatically reduce the need for pumping groundwater. To meet peak summer demands, College Station maintains nine water wells. As our population grows, peak demands are tracked closely to determine when new wells must be built. College Station has purchased land for two new wells in the Simsboro Aquifer, and the Capital Improvements Plan includes construction of the next well in 2015. However, if our conservation efforts are successful, the well’s construction will be delayed. As a potential backup strategy for unforeseen conditions, College Station may eventually get a surface water permit from the Brazos River Authority. The BRA has contracted 100 percent of its water supply but is pursuing a system operations permit to allow ways to create more supplies. We’ll continue to follow the permitting process closely and will strongly consider surface water to supplement our groundwater supply if the opportunity arises. The state plan assumes that College Station will be able to retain its existing well permits and obtain new ones for future wells. The Brazos Valley Groundwater Conservation District controls well permits for Robertson and Brazos counties. In recent years, some members of the district board have claimed College Station is over-permitted. The city used 72 percent of its annual permitted limit in 2011, but our projected growth will soon require the remaining water. The situation is a critical for our future water supply. College Station falls into Region G in the state water plan, which roughly follows the Brazos River and includes cities from Sweetwater to Navasota. From 2010-60, state demographers expect the population to rise 70 percent (1.4 million) in Region G, 57 percent (101,000) in Brazos County and 18 percent (3,000) in Robertson County. Across the state, many municipalities are planning new reservoirs to meet future water needs. It’s important to note that the Millican and Bedias reservoirs aren’t included as water management strategies for Region G or Region H (Houston). These two reservoirs were brought up as potential future sources during the planning process for the 2012 state plan, but were dropped due to public opposition. Petition Process for DFCs: “The legislature should remove TWDB from the petition process concerning the reasonableness of a Desired Future Condition, except for technical review and comment.” Right now, groundwater assets are truly under local control. When a groundwater management area determines the maximum withdrawal allowed, that determination can only be appealed to the TWDB. After an appeal hearing, the TWDB makes a non-binding recommendation to the local groundwater management area. Some water marketers don’t like this process because they can’t use the process to impose their will on the local management area. Since the concept of local control could disappear if the appeals process is directed to district courts, we should oppose this measure. Water Loss Audits: “The legislature should require all retail public utilities to conduct water loss audits on an annual basis rather than every five years.” This idea makes good sense but must be accompanied by a specific method for calculating water loss. Currently, everybody calculates it differently, which makes comparing one city to another meaningless. We should support this initiative if it clearly spells out how water loss will be calculated. Funding for the State Water Plan: Rep. Bill Callegari (R-Katy) introduced bills that would take $2 billion from the “Rainy Day Fund” to provide low-interest loans for water supply projects through the TWDB. This is a sound plan that merits our support. If it passes, we’ll explore options for a low-interest loan to construct our next Simsboro well. Please note that in the 2012 state plan, College Station and Texas A&M are combined into a single user group. That will be corrected in 2017. What are your thoughts about the 2012 State Water Plan? This entry was posted on January 18, 2013 by City of College Station. It was filed under Public Communications, Water Services and was tagged with 2012 State Water Plan, Brazos Valley Groundwater Conservation District, inclined water rates, reclaimed water, water, water conservation, water supply.